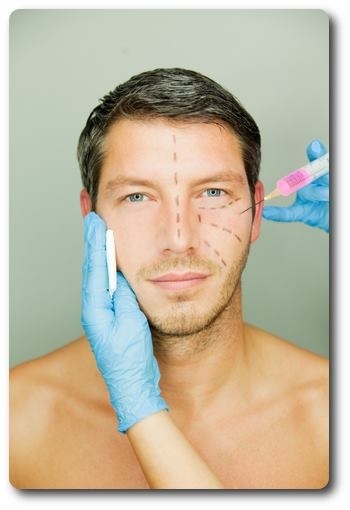 Cosmetic facial treatments and surgery increasing in men according to the official AAFPRS stats. I have found the same in my practice. More men are looking to look refreshed. The face ages in five ways, there are skin changes, dynamic lines,loss of facial volume, loss of elasticity, and the effects of gravity. So when treating these signs you needed to address the specific issue. Improving dynamic lines by using Botox. We treat the skin with lasers and skincare products. We restore facial volume with a procedure we call “Wow cheeks”. However the procedure isn’t fully effective because the real issue is loss of facial volume as well as cheek volume. So fillers will help with cheek volume but it’s not going to lift the tissue. What you really need to do is restore and re-suspend the tissue. So what do we have that can do this? A Facelift, which re-suspends the tissue by tightening the muscle and lay the skin down gently. Until recently we’ve had no other alternative for this procedure. That is until Ultherapy, the first FDA approved non-surgical face and neck tightening procedure that uses high frequency ultrasonic technology that penetrates all 4 1/2 MM of facial tissue. This restores the jaw lines, the neck, the jowls, and even the brow line. These are the exact layers I would treat while doing a facelift, without having to preform surgery. Patients will get anywhere from 30% to 50% of the effect you would when getting a facelift. But there are no incisions it’s a quater of the cost, minimal bruising if any, little down time, and patients can return to work the next day. Ultherapy is an amazing alternative for either men or women who are considering plastic surgery but either cannot afford the full price or cannot afford being away from work for more than a day. I talk more about Ultherapy in this Youtube video which you can watch by clicking here or the image above.